I would like a price feed for a BTS HERTZ but that oscillates by tracking a simple 30, 14 day moving average. Still this appears difficult. BTS HERTZ that works by sine wave, is adding a predictable volatility to existing underling volatile price. This seems pointless. But does create an asset that tends to the state of being fully backed by 1x collateral. even large amplitude it comes back predictably to the 1:1 state. tracking a moving average, attempt to create an asset that is more stable in value than bitshares (close to bitUSD) . Also it oscillates below and above the bts price. how many days you add to the average? More days you get less volatile asset but one that doesn't intersect with the price as often - which is the state of coming into being fully backed ( which is important to me ). 7, 14, 31 all seem very attractive to me. the problem unlike a mathematical oscillation. how do you build this curve that tracks and average of the past and updates frequently. I think we can use published price-feeds on blockchain, going back 7, 14 , 31 days to construct the average which will be weighted as well. can I have some comments? It wouldn't be difficult to track the price feeds, you could scrape the price feed data (https://btsapi.grcnode.co.uk/get_hertz_value?api_key=123abc) once every x mins & establish a history then plot this on a chart. In terms of moving average, the average settlement price will be $1.00 over 28 days because it oscillates 14% equally each direction. You could perhaps take the moving average market price, because that will account for the fluctuation in the USD:BTS market. There's certainly the potential for shorting at the stop to net more than 28% profit if BTS was to appreciate whilst your debt depreciated (and if you were able to settle your debt at the bottom). Backed by 200% collateral, not 100% collateral. But yes, if you settle, you'll trigger a shorter's force settlement at the current settlement rate in BTS (Which could be between $0.86 & $1.14). If you mean the moving average for settlement price is useless, sure. If you mean that the purpose of hertz is pointless then I disagree, I believe that the sine wave will have a noticeable effect on the market compared to say bitUSD. Re: Which state is fully backed: All states should be fully backed by Bitshares, if a shorter's collateral falls below the minimum collateral ratio then the shorter is force settled. You could track the daily market rate average, then compare that against the known settlement price range for that day. You could certainly track the price feeds of Hertz either via the blockchain directly or by scraping the hug rest api for the required data real time & establishing a price feed history. Hi, I'll respond with detail later. I gave no consideration or suggestion on collateral, etc., parameters that would have to be defined. But to think about, if a blockchain like STEEM or GOLOS paid out rewards with such a token. risk probability could be considered of printing % of anual inflation in said token? perhaps some restriction of settlement maybe. Less often would a arbitrary limit of the total allowable debt be breached, and perhaps higher limit set.? In Steem and Golos examples where ratio powered up : powered down, tends to exceed 1, makes this projection better. Think about the Market BTS Market Hertz : BTS. When BTS behaves volatile either swinging up or down in real terms and from average. Understand someone may prefer sell BTS token for BTS Market hertz to realize profit on upswing but remain invested in BTS, or to mitigate losses on down swing, but still remain invested. These are new options, and are naturally met with converse options That apply to this new investor in BTS Market Hertz. Think of BTS Market Hertz as part of an investment portfolio and being able to trade the BTS market while maintaining this investment trivially. the Demand of this token in a graphene chain based community that has the only other alternative of the native currency. BTS Market Hertz as the preferred collateral rather than BTS in a system such as bitshares. The volatility of a market can be measured i.e VIX. new type of price-feed: subject the number of days in the average to democratic process, variable which witnesses decide dynamically. That's all for later, just thoughts on my mind. Response to Customminer coming next. Steem & Golos don't maintain their USD reference peg though, SBD is currently ~$6.50 right now each. If this Hz token proves successful, then its introduction on other graphene chains would be fine - everything Hertz is MIT licensed. Don't know how the effect would be though given that these pegged assets don't maintain their peg. The Hertz variables could be modified dynamically depending on external factors, sure - you just need to make sure that it doesn't introduce too much volatility. There's always been the option to use bitUSD to evade falling BTS prices & likewise to sell bitUSD to buy cheap BTS when it's increasing in value. The appreciation/depreciation of debt is indeed a valuable new concept that's not been explored elsewhere (AFAIK), it introduces new trading strategies in BTS for sure. Not for long term holding, since there's limits to the price feed appreciation. But sure, buying low and selling high would be pretty simple. It is however highly experimental which is a risk in of itself. Interesting, https://en.wikipedia.org/wiki/Variance_swap Variance swaps sound similar to Hertz except centralized & generalized. What would the VIX value of Hertz be? Anyone could create their own Hertz style smartcoin which was pegged against one of these established VIX/Variance-Swap mechanisms. What if each witness monitored a burn/null role's memo data for burn transactions - the more smartcoins destroyed the greater the impact on the smartcoin's settings. Imagine a tug of war, the more destroyed against A causes appreciation, more destroyed against B causes deppreciation. If a smartcoin is destroyed, there's debt without associated liquid smartcoin, so theoretically more will need shorted. Permanently locking up collateral by burning smartcoins is next level! Would anyone be interested in working on this in return for some bitUSD? $750 for Hertz implementation sound tempting? It needs to be pegged to BTS:USD settlement rate (not BTS:CNY). Use the time() reference instead of pendulum & try to get the BTS:USD rate from existing btsprice functionality (or implement following the existing coding style). $500 for Hertz implementation and $250 for Hero implementation sound tempting? It needs to be pegged to BTS:USD settlement rate (not BTS:CNY). I think [member=43607]roelandp[/member] already wrote those. Here is HERO: https://github.com/roelandp/bts-misc-pricefeeds/blob/master/hero.py and he is feeding HERTZ as well. no those individual scripts are custom mpas and are fed via xerocs pybitshares. i did make some changes to btsprice by alt to keep it running, however no intergration with hertz yet. giving its nature of being an algorithmic mpa not so much based on “old skool” market monitoring / price moves i’m not sure if it fits the scope of btsprice. Is the btsprice repo still actively maintained? I've seen that several forks of btsprice have made their own changes, but perhaps just not created a PR to merge back into master? Support in btsprice will greatly increase witness price feed coverage, Hertz currently has 7 feeds (with another 2-3 possible with current feed scripts), HERO has 8, yet bitUSD has 21 feeds. A greater quantity of feeds improves the median settlement price list & improves decentralization. Do you believe there would be opposition to Algorithm Based Assets (MPA/Smartcoins w/ algorithm) in the Chinese community? Wouldn't hurt to create a Hertz/Hero compatible implementation for manual implementation by specific witnesses using btsprice. Perhaps it'd be appropriate to only propose the Hertz bounty, as the Hero feeds are maintained by the hero foundation.. yeah let's go ahead and cancel the hero bounty due to being out of scope, hertz implementation is now $750 bitUSD. I don't think we'd need to import python-bitshares nor pendulum (using time() instead), if we can get the USD:BTS price (perhaps USD:CNY:BTS) using existing btsprice functionality then we can implement Hertz without disrupting the current software stack too heavily. I do actually use BTSPrice for feeding most of the "currency" markets and gold silver. It's a great tool and very all-entailing featurerich and well coded by [member=4465]alt[/member] , however as announced, he stopped maintaining it with his exit of BTS. Hence my addition on my GH. 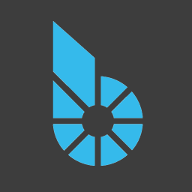 Perhaps it'd be worth maintaining a Bitshares community version, so that we can do pull requests for improvements? Looking at the forked repos, they've made similar & unique changes worthy of use by witnesses. Perhaps it could be an optional asset rather than mandatory? So that not everyone needs to provide hertz price feeds? Bump! Any interest in the btsprice dev bounty? Once wackou has created a new release, verbaltech's feeds will line up with the other price feed publishers & Hertz will be highly accurate. We could activate Hertz now technically. Time for Hertz to replace the VIX? Hertz is now LIVE on the BTS DEX! Whitepaper in markdown format for steemit (for PDF phobic users).